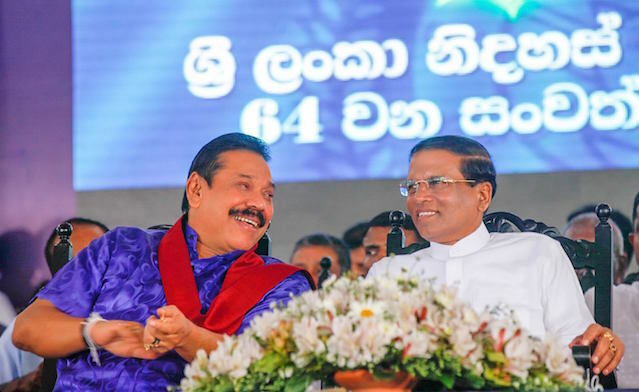 Former President Mahinda Rajapaksa supported handing over the leadership of the Sri Lanka Freedom Party (SLFP) to President Maithripala Sirisena, SLFP member and Minister, Nimal Siripala de Silva said. He said that Rajapaksa had urged the SLFP to back and work with Sirisena after the last Presidential election. Nimal Siripala de Silva says after handing over the party leadership to Sirisena it is not right for any SLFP member to work against him now. “After it was handed over to President Sirisena we cannot join any other group and try to remove him,” he said. The Minister says there is an attempt to split the SLFP and so SLFP members have a responsibility to protect the party and ensure it wins at the next election. Nimal Siripala de Silva said that if President Sirisena steps down as party leader he will support the new party leader.